Swimline Winter Pool Cover / 33ft. Round Above Ground Pool - 7035600. Why not cover your pool for the winter rather than having to do all that messy cleaning in the Spring? 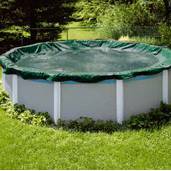 A winter pool cover will prevent leaves, dirt and debris from entering your pool this Winter. Avoid that inconvenient spring clean-up caused by rain, snow, ice and algae which can easily form in an uncovered pool. 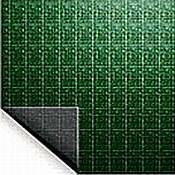 The scrim is the weave tightness in the underlying thread construction. The higher the scrim number, the better the quality of the winter pool cover. Cover Clips Cover Clips grip your top rail like a clothespin and hold your cover on tightly. Cover clips keep your above ground pool's cover in place and helps reduce the wear and tear on a winter cover from wind damage. 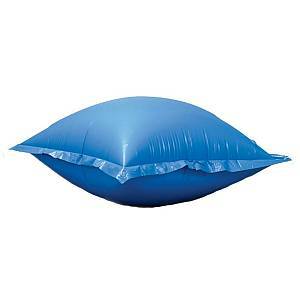 Air Pillows These rugged 16-gauge vinyl Air Pillows absorb freezing water�s pressure and helps protect your pool walls. The Air Pillow also reduces excess rain, snow, and leaves on your winter cover. 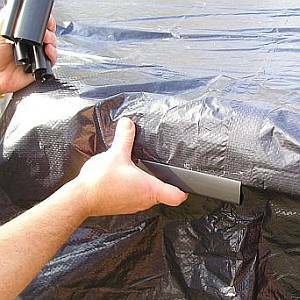 Use an air pillow under your winter cover and it will also make draining the water off the top of your cover much easier. 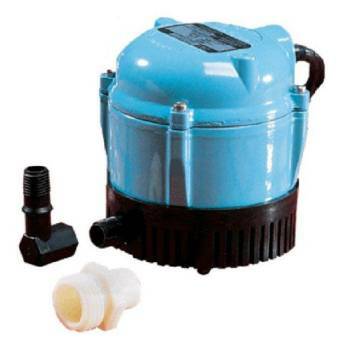 Cover Pump Cover Pumps are used to remove the water from your pool cover. They are available in manual models where you will have to monitor the pumps progress and unplug it when the water is off. Or you can get an automatic cover pump which senses when water is on the cover and cuts itself on and off automatically. All cover pumps are 110v. The recommended amount of cover clips for your pool is 66.